The Collage pendant was designed by Louise Campbell and launched in 2005. It was displayed for the first time at an exhibition at the Copenhagen furniture fair in 2004 along with the Campbell pendant and 14 other experimental light prototypes presenting new ways to interpret light. The Campbell pendant was the first fixture to be put into production. The Collage pendant was launched the following year, in part due to the considerable amount of attention it received at the fair. Louise Campbell has always been very preoccupied with daylight in her work with lighting. 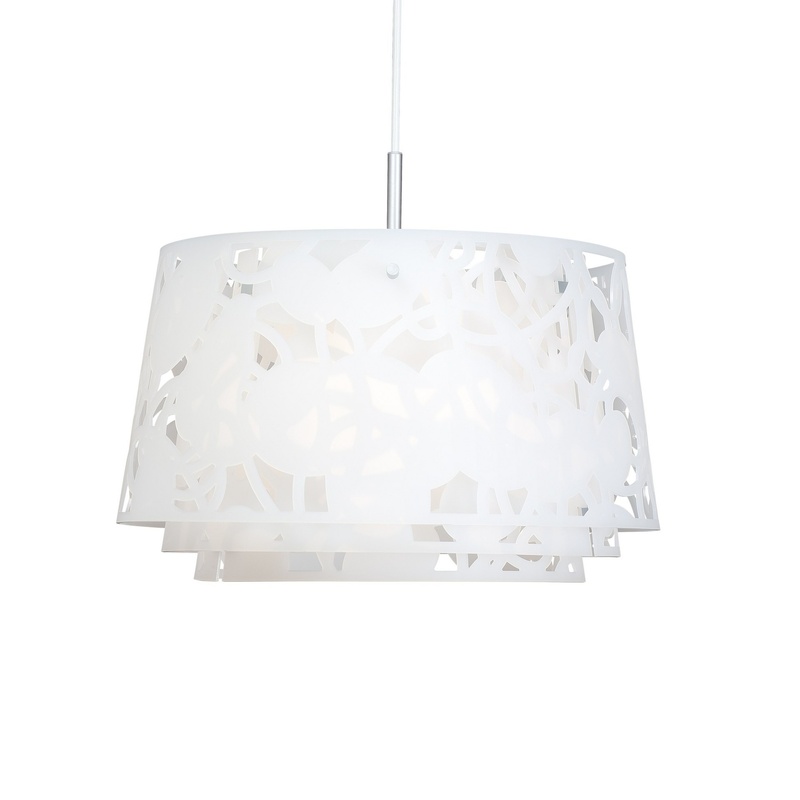 Her aim with the Collage pendant was therefore to imitate daylight. Louise Campbell: "The most obvious contrast between daylight and artificial light is that nature only has one light source, and you never look directly into it. Our perception of light is based on countless natural layers which filter and reflect the light." These observations have been integrated into both the Campbell and Collage pendants. In the Collage pendant, the number of layers has been increased and the pattern, light and shadows more closely replicate the uncontrollable light seen in nature. In 2015, both versions were relaunched in new colours with a matt surface to celebrate the 10-year anniversary of the launch.